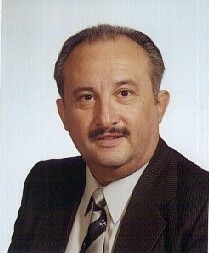 George Cardona, Broker, Central Commercial Real Estate Limited says he has done about eight deals on ICIWorld. The fastest one was two weeks after he joined he sold an apartment building for $960,000 and it was a double ender. Since then he has sold commercial buildings with apartments, stores, a restaurant business and more. He actually got his buyers right from ICIWorld. He has listed and sold many properties himself. When you are looking for commercial listings he says ICIWorld is the place to be. 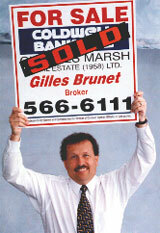 Gilles Brunet, Broker, Coldwell Banker Charles Marsh Real Estate (1958) Ltd. Gilles has sold about 12 properties as a result of connections through ICIWorld. It includes 93 unit apartment building, motels, hotels, stores and apartments. Contacts came from all over the world from. He placed a hotel/motel for sale on the service. He received roughly 24 calls over a period of 4 months. One person although not interested in that particular one, bought another one through Gilles. It was for $1,375,000. This is a good example of how contacting a member broker, developing a relationship with him/her and you can find out about other things that that are not on the service. Paul Kitchen, iic Secura inc. has sold ten properties. He says he has generated a large network of buyers and sellers. Some of the things that he has sold have been subdivision property, development projects, lakefront property, net leased investments. 1-888-285-9048. He receives calls from all over the world, Germany, United States, Canada. Robert Mueller, Sales Representative, Trius Realty Inc. had restaurant banquet center for sale for two years. In the third year he placed it on ICIWorld for the first time. He had about ten enquiries over about 11 months and one from a principal who he sold it to. $1,200,000 sale double end. He says he chooses not do many deals fewer deals but bigger deals and ICIWorld helps to do that. He also sold a manufacturing business through ICIWorld. Read a few more success stories ICIWorld is like a gold mine of information. The whole world can read it. All you have to do is place an ad to network. And now licensed real estate brokers and salespeople can place this gold mine on their own home page in a way that they get the leads. See "Leads For A Lifetime." A program for every single licensed real estate broker and salesperson in the world. No time is needed to work anything once it is installed on your home page.